Vodafone reported a 4.1% year-on-year fall in group revenue to 23.1 billion euros for the six months ending September 30th, blaming the deconsolidation of Vodafone Netherlands and currency movements. That figure doesn't include Vodafone India, which is now merging with rival Idea Cellular. Vodafone India's service revenues were down 15.8% over the six month period. 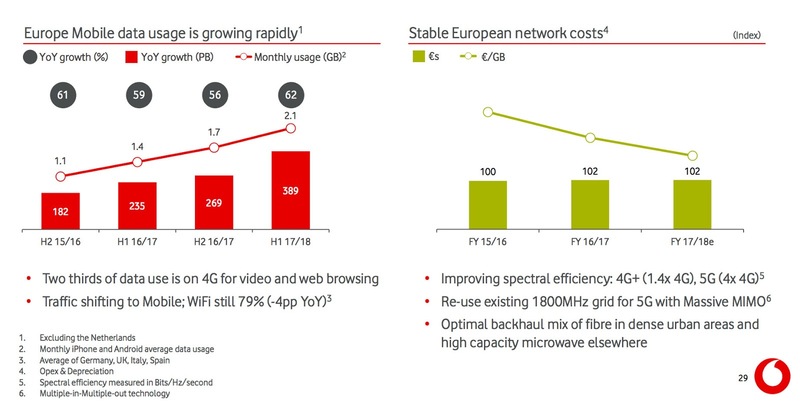 Vodafone said that group service revenue rose 1.3% on an organic basis in the quarter ending September 30th (excluding Vodafone Netherlands and Vodafone India) driven primarily by "our growth engines of mobile data, fixed/convergence and enterprise."